Elizabeth Catlett (April 15, 1915  – April 2, 2012)  was an African-American graphic artist and sculptor best known for her depictions of the African-American experience in the 20th century, which often focused on the female experience. She was born and raised in Washington, D.C. to parents working in education, and was the grandchild of freed slaves. It was difficult for a black woman in this time to pursue a career as a working artist. Catlett devoted much of her career to teaching. However, a fellowship awarded to her in 1946 allowed her to travel to Mexico City, where she worked with the Taller de Gráfica Popular for twenty years and became head of the sculpture department for the Escuela Nacional de Artes Plásticas. In the 1950s, her main means of artistic expression shifted from print to sculpture, though she never gave up the former. 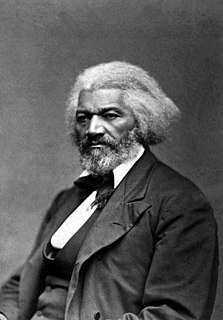 A freedman or freedwoman is a former slave who has been released from slavery, usually by legal means. Historically, slaves were freed either by manumission or emancipation. A fugitive slave is one who escaped slavery by fleeing. Her work is a mixture of abstract and figurative in the Modernist tradition, with influence from African and Mexican art traditions. According to the artist, the main purpose of her work is to convey social messages rather than pure aesthetics. While not very well known to the general public, her work is heavily studied by art students looking to depict race, gender and class issues. During her lifetime, Catlett received many awards and recognitions, including membership in the Salón de la Plástica Mexicana, the Art Institute of Chicago Legends and Legacy Award, honorary doctorates from Pace University and Carnegie Mellon, and the International Sculpture Center's Lifetime Achievement Award in contemporary sculpture. Tuskegee University is a private, historically black university (HBCU) located in Tuskegee, Alabama, United States. It was established by Lewis Adams and Booker T. Washington. 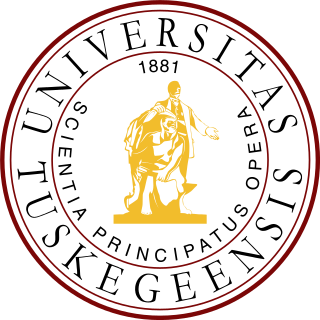 The campus is designated as the Tuskegee Institute National Historic Site by the National Park Service and is the only one in the U.S. to have this designation. The university was home to scientist George Washington Carver and to World War II's Tuskegee Airmen. August Wilson Cultural Center is a U.S. nonprofit arts organization based in Pittsburgh, Pennsylvania that presents performing and visual arts programs that celebrate the contributions of African Americans not only in Western Pennsylvania, but nationally and internationally. A philosopher is someone who practices philosophy, which involves rational inquiry into areas that are outside either theology or science. The term "philosopher" comes from the Ancient Greek, φιλόσοφος (philosophos), meaning "lover of wisdom". The coining of the term has been attributed to the Greek thinker Pythagoras. James Herring was an American portrait painter. "Torso", created in 1985,  is a carving in mahogany modeled after another of Catlett's pieces, Pensive (b. 1946)  a bronze sculpture. The mahogany carving is in the York College, CUNY Fine Art Collection (dimensions: 35' H x 19' W x 16' D). The exaggerated arms and breasts are prominent features of this piece. The crossed arms are broad, with simple geometric shapes and ripples to indicate a shirt with rolled-up sleeves, along with a gentle ridge along the neck. The hands are carved larger than what would be in proportion to the torso. The figure's eyes are painted with a calm, yet steady gaze that signifies confidence. Catlett evokes a strong, working-class black woman similar to her other pieces that she created to portray women's empowerment through expressive poses. Catlett favored materials such as cedar and mahogany because these materials naturally depict brown skin. Meta Vaux Warrick Fuller was an African-American artist notable for celebrating Afrocentric themes. She was known as a multi-talented artist who wrote poetry, painted, and sculpted but was most noted for her sculpture. At the turn of the twentieth century, she had achieved a reputation as a well-known sculptor in Paris before returning to the United States. Warrick was a protegé of Auguste Rodin, and has been described as "one of the most imaginative Black artists of her generation. She created work with strong social commentary; for instance, she made a sculpture of Mary Turner, a young, married and pregnant black woman who was lynched in Georgia in 1918 the day after protesting the lynching of her husband. Warrick is considered a forerunner of the Harlem Renaissance, a movement among African Americans promoting their literature and art. Renee Stout is an American sculptor and contemporary artist known for assemblage artworks dealing with her personal history and African-American heritage. Born in Kansas, raised in Pittsburgh, living in Washington, D.C., and strongly connected through her art to New Orleans, Stout has strong ties to multiple parts of the United States. Her art reflects this, with thematic interest in African diasporic culture throughout the United States. Stout was the first American artist to exhibit in the Smithsonian’s National Museum of African Art. Nancy Elizabeth Prophet was an African-American artist, known for her sculpture. She was the first African-American graduate from the Rhode Island School of Design in 1918 and later studied at L'Ecole des Beaux-Arts in Paris during the early 1920s. She became noted for her work in Paris in the 1920s and 1930s. In 1934, Prophet began teaching at Spelman College, expanding the curriculum to include modeling and history of art and architecture. Prophet died in 1960 at the age of 70. Judith Shea is an American sculptor and artist, born in Philadelphia, PA in 1948. She received a degree in Fashion Design at Parsons School of Design in 1969 and a BFA in 1975. This dual education formed the basis for her figure based works. Her career has three distinct phases: The use of cloth and clothing forms from 1974 to 1981; Hollow cast metal clothng-figure forms from 1982 until 1991; and carved full figure statues made of wood, cloth, clay, foam and hair beginning in 1990 to present. Ángela Gurría Davó is a Mexican sculptor. In 1974, she became the first female member of the Academia de Artes. She is best known for her monumental sculptures such as Señal, an eighteen meter tall work created for the 1968 Summer Olympics. She lives and works in Mexico City. Francisco Mora his father was a weaver, musician, and Mexican artist. Mariana Yampolsky was one of the major figures in 20th-century Mexican photography, specializing in capturing photos of common people in everyday situations in the rural areas of the country. She was born in the United States but came to Mexico to study art and never left, becoming a Mexican citizen in 1958. Her career in photography began as a sideline to document travels and work in the arts and politics but she began showing her photography in the 1960s. From then until her death in 2002, her work was exhibited internationally receiving awards and other recognition both during her lifetime and posthumously. Geles Cabrera Alvarado is a Mexico City sculptor who has worked in a variety of materials, there is a museum dedicated to her work in the south of the city. María Luisa Reid is a Mexican artist from Zacatepec in the state of Morelos. She is a member of the Salón de la Plástica Mexicana. Deyanira África Melo is a Mexican sculptor who generally works in ceramics, depicting elements of the human form, especially the torso, generally with mutilations and other disturbing elements to dispute the otherwise traditional and sensual depictions of the human body. She has exhibited her work since studying at the Escuela Nacional de Artes Plásticas (ENAP) in various parts of Mexico as well as Europe and the Caribbean. Her work has received recognition from Mexico and abroad as well, and is a member of the Salón de la Plástica Mexicana. Miguel Hernández Urbán is a Mexican painter and sculptor noted for his monumental works in stainless steel. He trained as a sculptor at the Escuela Nacional de Artes Plásticas but moved into painting under Antonio Rodríguez Luna. He returned to sculpture in the 1980s, experimenting with stainless steel, creating monumental works with it starting in the 1990s. In 1992, he founded the Symposium on Stainless Steel Sculpture in his hometown, the first of its kind in the work, which has since attracted participants from the Americas, Europe and Asia. Sarah Jimenez Vernis was a Mexican artist known for her political graphic work in the mid 20th century, especially with the Taller de Gráfica Popular, earning her membership in the Salón de la Plástica Mexicana. After her time with the Taller, her career shifted to teaching, and her work became mostly forgotten. However, there have been efforts to revive interest in it. Rocio Caballero is a Mexican figurative painter, whose works often depict mythical worlds and are noted for her use of symbolism. Her work has been exhibited individually and collectively in Mexico, the United States, South America and Europe and can be found in collections such as that of the National Museum of Mexican Art. Her work has been recognized with membership in the Salón de la Plástica Mexicana. Patricia Mejía Contreras was a Mexican sculptor and graphic artist whose work was recognized with membership in the Salón de la Plástica Mexicana. Flor Minor is a Mexican sculptor and graphic artist, known for bronze sculptures and graphic work that generally depict the male form. Her works often are based on the concept of balance or lack thereof. Minor has had individual exhibitions in notable venues in Mexico and abroad, and her work can be found in a number of public and private collections. She has been recognized in Mexico with membership in the Salón de la Plástica Mexicana. Fern Cunningham is an American sculptor. One of her best known works is the Harriet Tubman Memorial, which was the first statue honoring a woman on city-owned land in Boston. Barbara Jones-Hogu was an African-American artist best known for her work with the Organization of Black American Culture (OBAC) and for co-founding the artists' collective AfriCOBRA. 1 2 3 4 5 6 7 8 9 Boucher, Brian (April 3, 2012). 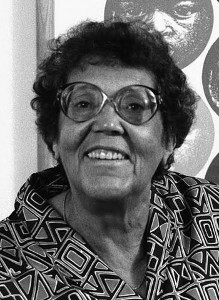 "Elizabeth Catlett, 1915–2012". Art in America magazine. Retrieved February 11, 2015. 1 2 3 4 5 6 7 8 9 10 11 12 13 14 15 16 17 18 19 20 21 22 23 24 25 26 27 28 29 30 Karen Rosenberg (April 3, 2012). "Elizabeth Catlett, Sculptor With Eye on Social Issues, Is Dead at 96". New York Times. Retrieved February 11, 2015. 1 2 3 4 5 6 7 8 9 10 11 12 13 14 15 16 17 18 19 20 Mujeres del Salón de la Plástica Mexicana. 1. Mexico City: CONACULTA/INBA. 2014. pp. 60–61. ISBN 978 607 605 255 6. 1 2 3 4 5 6 7 8 9 10 11 "Elizabeth Catlett 1915–2012". National Museum for Women in the Arts. Retrieved February 11, 2015. 1 2 3 4 5 6 7 8 9 10 11 12 13 14 15 16 17 18 19 20 21 22 "Elizabeth Catlett". Emerge. 11 (5): 46–51. March 2000. 1 2 3 4 5 6 7 8 "Elizabeth Catlett". 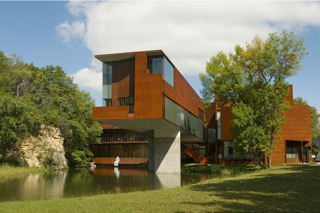 International Sculpture Center. Retrieved February 11, 2015. ↑ Riggs, Thomas (January 1, 1997). St. James guide to black artists. Detroit: St. James Press published in association with the Schomburg Center for Research in Black Culture. ISBN 1558622209. 1 2 3 4 "May 15: Carnegie Mellon Honors Artist Elizabeth Catlett With Special Exhibition, Honorary Doctorate of Fine Arts, May 17–18". Carnegie Mellon University. May 15, 2008. Retrieved February 11, 2015. ↑ Haynes, Monica, "Making amends: CMU lauds famed black artist 76 years after it denied her admittance", Pittsburgh Post-Gazette , May 19, 2008. 1 2 3 4 5 6 7 8 9 10 11 12 13 14 "Elizabeth Catlett". Ebony. 61 (5): 100–102, 104. March 2006. 1 2 3 4 5 6 "Elizabeth Catlett". University of Iowa. Retrieved February 11, 2015. 1 2 Charlotte Streifer Rubenstein (1990). American Women Sculptors. Boston: G.K. Hall & Co.
1 2 3 4 5 6 7 8 9 10 11 12 13 14 "Elizabeth Catlett (1915–2012)". Galerie Myrtis. Retrieved February 11, 2015. ↑ "Catlett Residence Hall | Campus Maps & Tours". maps.uiowa.edu. Retrieved 2018-08-10. 1 2 3 4 5 6 7 8 9 10 11 "Elizabeth Catlett: The power of form". The World & I. 13 (7): 118–123. July 1998. 1 2 3 "5 Things to Know About Elizabeth Catlett". Scholastic Art. 42 (4): 10. February 2012. 1 2 3 4 5 6 Keyes, Allison (February 12, 2012). "Black, Female And An Inspirational Modern Artist". National Public Radio. Retrieved February 11, 2015. ↑ "Fallece la escultora y grabadora Elizabeth Catlett: MÉXICO OBITUARIO". EFE News Service. Madrid. April 4, 2012. 1 2 3 4 Riggs, Thomas (1997). St. James Guide to Black Artists. St. James Press. pp. 100–2. ISBN 1-55862-220-9. ↑ "Exonerated death row inmate tells his story at Legacy Museum". CBS. April 9, 2018. Retrieved April 12, 2018. ↑ Miller, James H. (April 16, 2018). "Alabama memorial confronts America's racist history". The Art Newspaper . Retrieved April 20, 2018. ↑ "CHRONICLE". The New York Times. June 26, 1991. ↑ "Elizabeth Catlett", Episode 2, An Alternative History of Art, BBC Radio 4, March 6, 2018. 1 2 Kearns, Martha. Gumbo Ya Ya: Anthology of Contemporary African-American Women Artists. New York: MidMarch Press, 1995. ↑ Farris, Phoebe. Women Artists of Color: A Bio-critical Sourcebook to 20th Century Artists in the Americas. Westport, CT: Greenwood, 1999. ↑ Scarborough, Klare, "Elizabeth Catlett: Singing the Blues", The International Review of African American Art, Vol. 25, No. 4, (2015), p. 51. 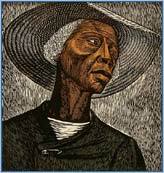 ↑ "Elizabeth Catlett". web.york.cuny.edu. Retrieved December 19, 2017. ↑ "The Friends of Kresge presents: Gifts of Art: 35 Years of Friends of Kresge Acquisitions". artmuseum.msu.edu. Retrieved December 12, 2017. Wikimedia Commons has media related to Elizabeth Catlett . Elizabeth Catlett's collection [ permanent dead link] at the Baltimore Museum of Art.